An industrial dry cleaning plant in West Allis, Wisconsin was equipped with multiple underground storage tanks (USTs) which stored the degreasing agent perchloroethylene (PCE). The UST releases date back to 50 years and created a treatment area of approximately 4,500 square feet. An in situ, combined remedies treatment approach was implemented onsite using a range of reagents including PlumeStop®, RegenOx®, Hydrogen Release Compound (HRC®) and BioDechlor INOCULUM Plus (BDI® Plus). This site was planned for future development, consequently the remediation approach was designed to achieve site closure by removing the residual source in the vadose zone and treating the deep groundwater plume. Starting in the residual source area, in situ chemical oxidation (ISCO) was applied via soil mixing down to a depth of 7 ft. below ground surface. The ISCO program using RegenOx was designed to treat a total of 140 tons of PCE-impacted clay soil with initial concentrations measuring 169 mg/kg and a remediation goal of <14 mg/kg. To address the deep groundwater plume with PCE concentrations as high as 13,800 ppb, fast-acting, PlumeStop was applied through a series of deep injection wells approximately 80 to 95 ft. below ground surface. The use of PlumeStop allows remediation practitioners to quickly reduce concentrations over a wide-area with the long-term assurance of biodegradation. HRC and BDI Plus were co-applied with PlumeStop to enhance the biodegradation process. RegenOx is an advanced chemical oxidation technology that destroys contaminants and maximizes in situ performance while using a solid alkaline oxidant that employs a sodium percarbonate complex with a multi-part catalytic formula. PlumeStop is an innovative in situ remediation technology designed to rapidly reduce contaminant concentrations, stop migrating plumes, eliminate contaminant rebound, achieve stringent clean-up standards, and treat back-diffusing contaminants. HRC is a controlled release, electron donor material, highly efficient for the production of dissolved hydrogen to fuel anaerobic biodegradation processes in soil and groundwater. Bio-Dechlor INOCULUM Plus is a species of Dehalococcoides sp. 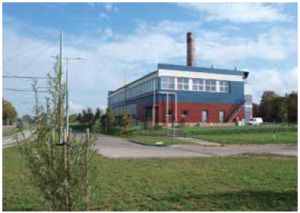 (DHC), enriched to increase its ability to rapidly dechlorinate contaminants during in situ bioremediation processes. The ISCO application of RegenOx, and combined approach using HRC, BDI Plus and PlumeStop rapidly reduced contaminant concentrations to achieve the remediation goal in just 30 days post-application. As a result, the client has submitted for site closure. Using an innovative combined remedies approach provides environmental remediation professionals with an effective solution for treating sites that present multiple challenges including hard to treat contaminants, sites with lengthy history of impacted soils, difficult geologies, and time constraints.